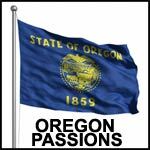 Oregon Boy Returns to His Roots 3rd generation Oregonian, back after a 25 year absence. Time to find a farm. If sustainable, organic, self-sufficiency, volunteerism and paying it forward resonates with you. We should get to know each other better. Does brad0513 belong in this group? Does aquarianjade belong in this group?